Gresso Regal Case has been created with using the innovative magnetic lock system, patented all over the world. No extra tools needed for assembly as the case consists of upper and lower protective frames that are connected by means of hinges and magnetic locks hidden in the unit. Gresso Regal Case Collection consists of 3 models. Gresso Regal Case T1 is completely made of titanium grade 5. Gresso Regal Case T2 and T3 are made of titanium with PVD-coating of rich black color and decorated with insert from 18K White or Yellow Gold. Gresso Regal Case is executed of a solid titanium plate, widely used in the aerospace industry. Titanium case machining process is time-and-labor consuming. The one of a kind titanium case machining and milling process takes more than 8 hours using high-tech equipment. 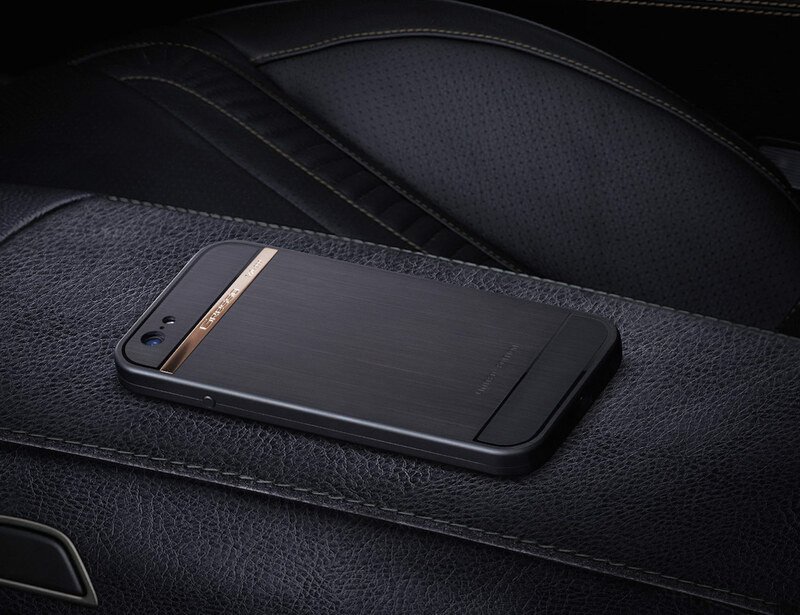 Impact-resistant titanium body of Gresso Regal Case protects your iPhone and guarantees steadiness to bending and other kinds of mechanical impact.